It’s a strange thing to watch a place you’ve spent a substantial amount of time in be stripped away and changed irrevocably. There are really two ways for me to try and tell the story of what’s going on in these photographs; the way I’d tell it to an old timer who has walked the forest and knows the hollers and the ridge lines, and the way I’d have to tell it to the outside world. The newcomers require an explanation with a lot of maps, complicated federal court rulings, and the complacency and bumbling of regulatory agencies. The way I’d tell the story of these photographs to someone who has dug a ramp, picked some blackberries, hunted, 4-wheeled, built a cabin, or watched the bears walk by on Coal River mountain is a little bit different. I’d tell them that Alpha just topped out into Sycamore holler from the Workman’s creek side and that means they’ll be back into the heads of Dry Creek, Rock Creek, and Horse Creek, tearing right through the Pond Knob area (which, for the newcomers, is the highest point on Coal River mountain). They are even going after the center ridge of Rock Creek. There’s really no way to know that these areas are part of one of the most biologically diverse places on the planet unless you’ve lived in them. I can’t blame people for not knowing that some of the biggest Ginseng in West Virginia has been dug on that mountain. Coal River mountain is situated in an economically depressed area, with a deep local tradition of harvesting roots like Ginseng to sell in order to get by. So folks who dig it tend not to be forthcoming about things like where they get “the big seng”. I’ve spent my entire life exploring Coal River mountain and I’ve spent much of my adult life trying to protect it. First and foremost stay informed. 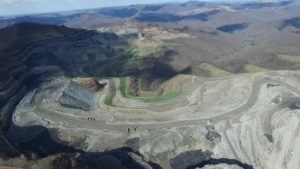 Coal River Mountain Watch’s website, CRMW.net, has a lot of resources and information, including a sign up for our action alerts. You can also Google any of the claims I’ve made and find out for yourself. 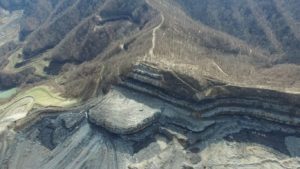 Share these photographs and this story on social media and look up Coal River Mountain Watch on Facebook. 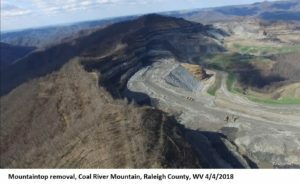 In addition, if you have the resources please consider sending a tax deductible donation to Coal River Mountain Watch online or by sending donations to: CRMW PO Box 303 Naoma, WV 25140. Hear my community’s story first hand on Post-Landfill Action Network’s Points of Intervention Tour. I would also ask that if this is something that calls to you then get in contact with us and find out how you can volunteer your time and expertise to help us out. We run a volunteer program for folks to either come in and help us out on projects like monitoring active mine sites, water testing, river clean ups, or helping us grow a big field of hemp! Alternatively you could support our efforts by working remotely with fundraising, web design work, social media, or other things that you think might be helpful to our cause. My final ask to you would be to support campaigns fighting back against extraction projects all over the country and the world. Find out what’s going on near you and get plugged in. We have to realize we’re all in this fight together and must stand united against those who are extracting resources out of the earth, shipping them, processing them, and burning them.